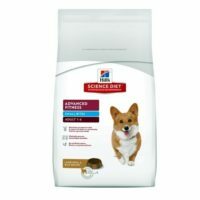 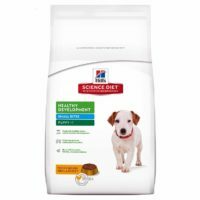 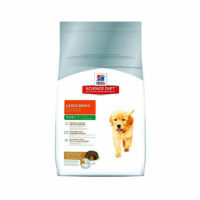 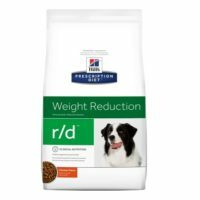 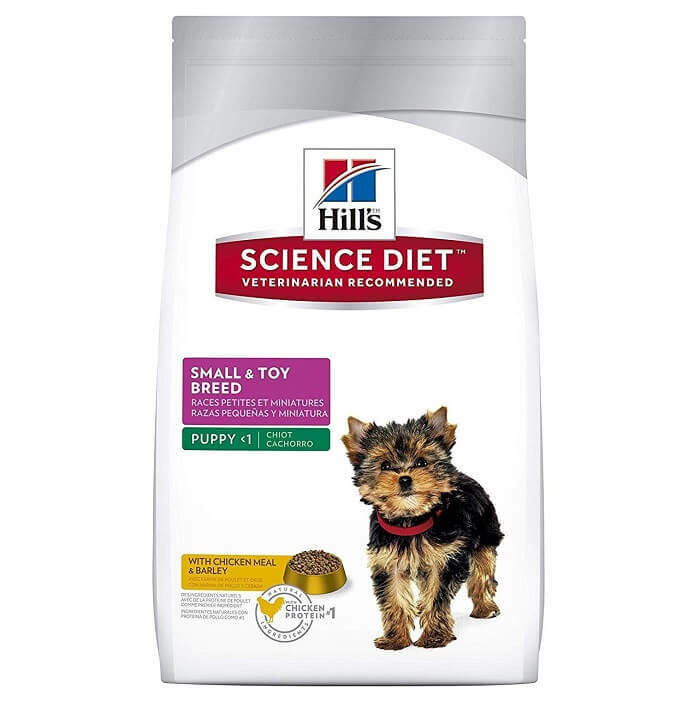 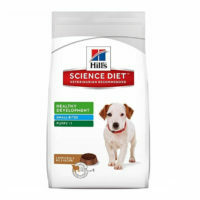 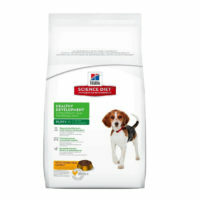 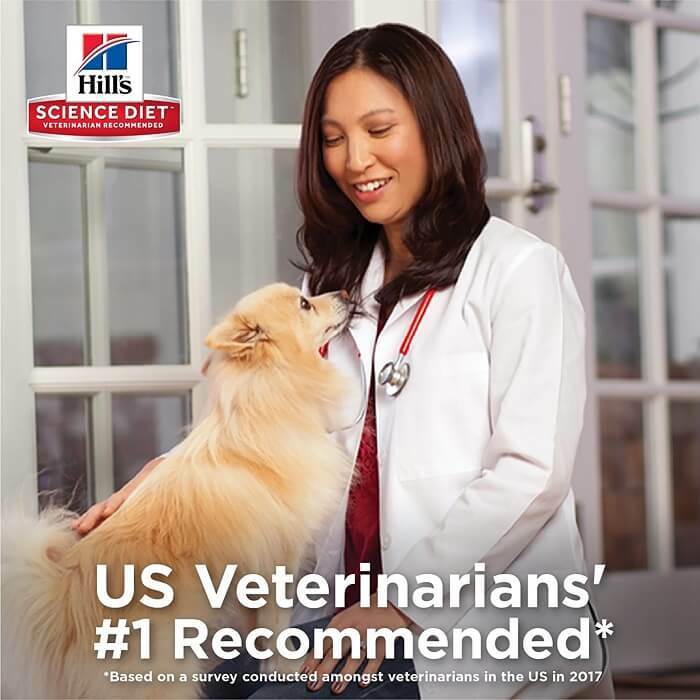 This dry food from Hill’s Science Plan is talor-made for small breed puppies like pug, chihuhua, maltese etc of age up to 15 months. 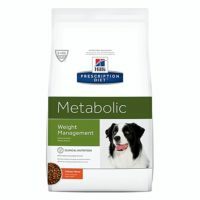 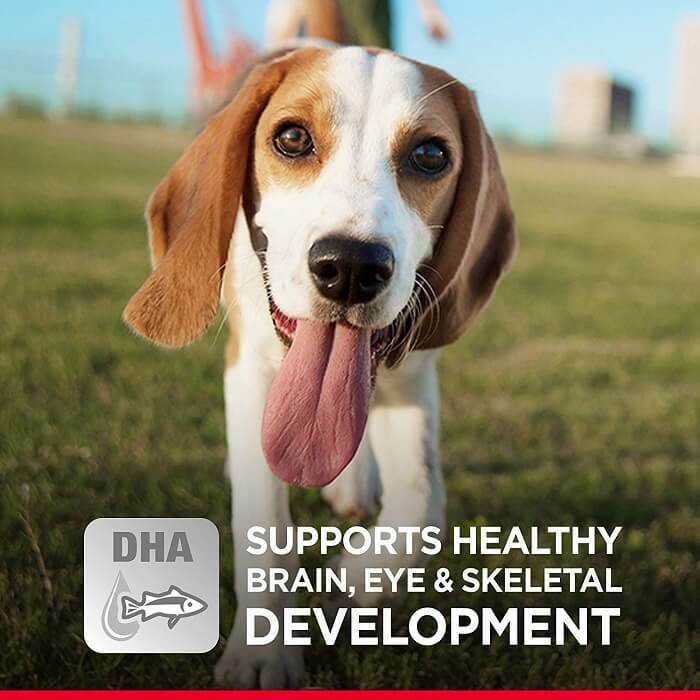 Advanced clinically tested nutrition supports healthy brain development and learning ability of puppy. 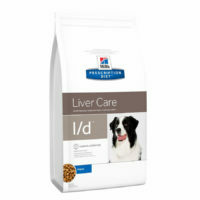 1)With clinically proven anti-oxidants, approved by AAFCO. 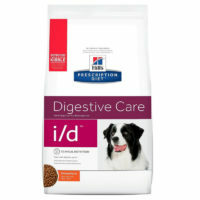 2)No artificial additives or preservatives. 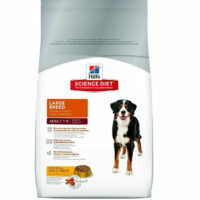 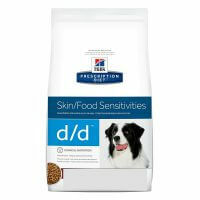 3)Added omega fatty acids for healthier skin & coat. 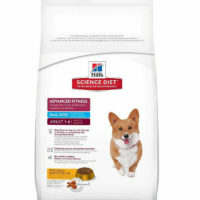 4)Small kibble developed specially for small breed jaws. 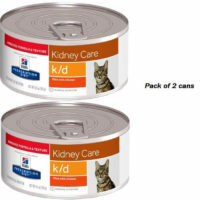 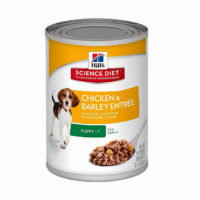 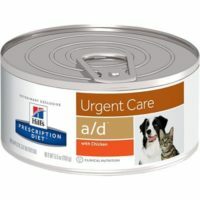 Ingredients:Chicken Meal, Brewers Rice, Whole Grain Wheat, Soybean Meal, Whole Grain Sorghum, Chicken Fat, Cracked Pearled Barley, Whole Grain Corn, Chicken Liver Flavor, Pork Liver Flavor, Flaxseed, Lactic Acid, Soybean Oil, Green Peas, Apples, vitamins (Vitamin E Supplement, L-Ascorbyl-2-Polyphosphate (source of Vitamin C), Niacin Supplement, Thiamine Mononitrate, Vitamin A Supplement, Calcium Pantothenate, Riboflavin Supplement, Biotin, Vitamin B12 Supplement, Pyridoxine Hydrochloride, Folic Acid, Vitamin D3 Supplement), Cranberries, Potassium Chloride, L-Lysine, Iodized Salt, Carrots, Choline Chloride, Broccoli, Taurine, minerals (Ferrous Sulfate, Zinc Oxide, Copper Sulfate, Manganous Oxide, Calcium Iodate, Sodium Selenite), Mixed Tocopherols for freshness, Natural Flavors, L-Carnitine, Beta-Carotene.